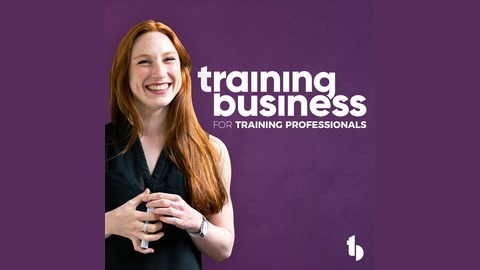 HiredTrainer is the podcast for training business owners like you, helping you to earn more and grow your training business. Each week, your host Mark Garrett Hayes talks 'training business' or invites expert guests on the show to share their expertise with you. 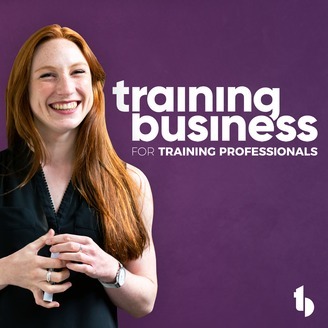 You will find out what successful training business owners know (what works and doesn’t work) and how they have made their business successful, so you can grow yours too! Want to know how to market your training business and get more clients? Thinking of becoming a trainer or starting your own training business? If you are, this is definitely the show for you every Thursday. Mark earned his train-the-trainer (TTT) whilst working for The Walt Disney Company in Florida. He is a committed and passionate certified trainer, accredited Executive Coach and former Learning & Development Manager with 17 years of experience training corporates, self-employed and unemployed across 19 countries. From a Harvard University Bedroom to a $511.44 Billion dollar business with 2.32 Billion monthly active users, Facebook has reached unprecedented heights in only 15 years. Why is this relevant? Today’s guest is Jeff Turner, International L&D Director with responsibility for all learning & people development outside of North America. Jeff tells us of the lessons he’s learned in developing people at one of the most iconic brands on earth and (exclusive) what he’s about to do next…. can you guess? The perceived kudos of being a supplier to Mark Zuckerberg’s company means, that there is no shortage of vendors trying to get a foot in the door. As a training business owner, how easy is it for you (or your team) to get time with someone like Jeff? What Jeff recommends (when seeking the attention of people like him) is to leverage the power of referral. That means using your network strategically to get an introduction through a mutual contact. TIP – listen to Andy Lopata (Eps 3) explaining why referral is so powerful and why he wrote a best-selling book on the subject. So, when seeking an opportunity to present your training business credentials to prospects, it sometimes makes sense to take the indirect path and let someone else point out why you are worth meeting. Dr. Robert Cialdini refers to this as the principle of Pre-Suasion. Have you given any thought to how you can ‘pre-suade’ your target decision-maker through referral? I’m a big fan of Billions, the US cable tv series from Showtime starring Damian Lewis and Paul Giamatti. In a recent episode of series 4, Bobby Axelrod’s (played by Lewis) hedge fund sustained a massive cyber attack which took the company’s network and entire phone system offline. None of the young, but brilliant traders had any connection to the people they bought and sold from…. They didn’t know their phone numbers and couldn’t call them because they had never met them. They didn’t even know what they looked like! They had no relationship to fall back on when they needed help. In this day and age of Facebook, Jeff knows that his network (not his ‘likes’) will make or break his new training business as he leaves the corporate world to go out on his own. So, he gets out there and meets people, builds connections and puts a face to his name. Jeff’s launch won’t be a landing page or a video. It will be a real live event with real live people who can meet him, listen to him and get to know the person they’re buying before they ever buy his brand. Question: What’s your strategy to get out there and meet your buyer face-to-face? Eps 30 - What do I need to facilitate a successful workshop? Eps 28 - How can I prepare for a client meeting? Eps 27 - How do I protect my training material?